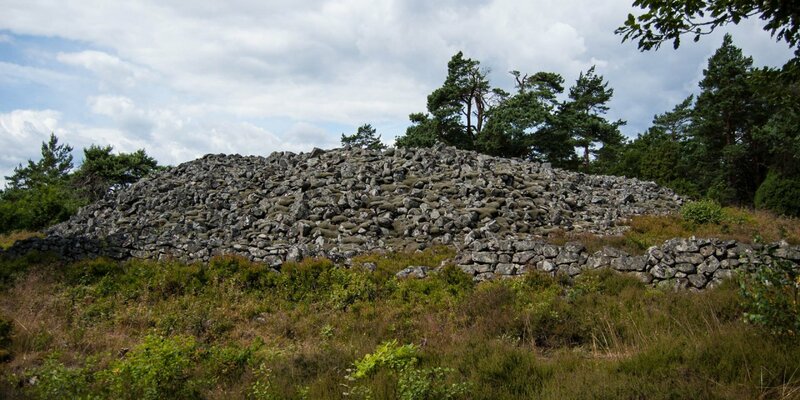 The iron age grave field, named after its largest grave mound Skebbas Rör, is located in a wooded area on the edge of the small village Lörby, about 15 kilometers northeast of Sölvesborg . 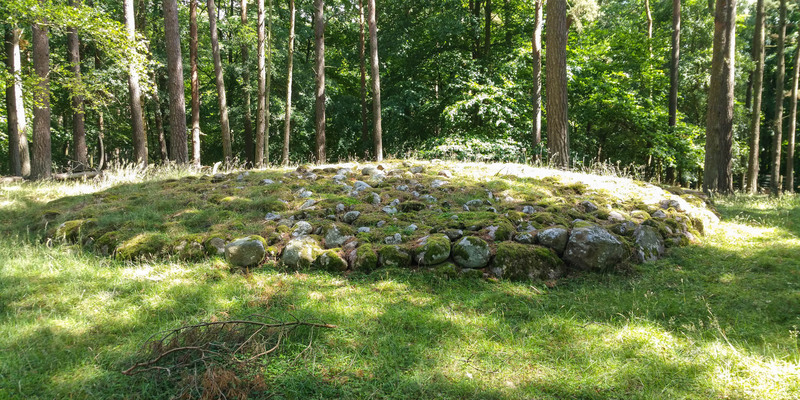 In addition to the grave mound Skebbas Rör with a diameter of around 6 meters, the 40 x 25 meters large burial ground consists of another six iron age graves. 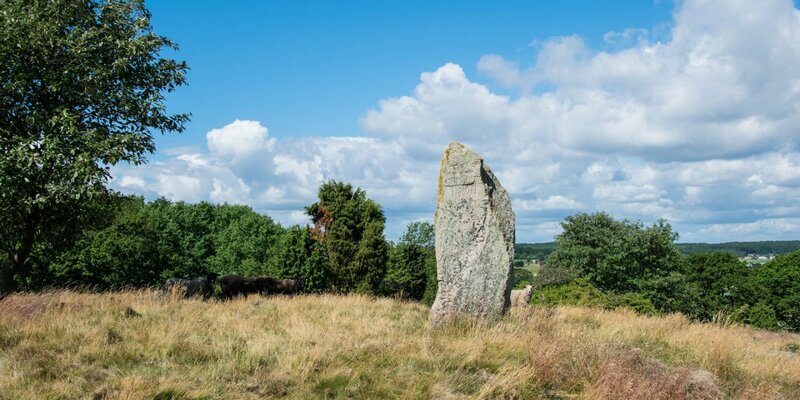 Including two flat round stone settings with a diameter of 18 and 4 meters, a rectangular stone setting, a stone wheel and two small menhirs. The stone grave mound is in the best condition of all artifacts. It is heavily bemoosed, but in contrast to the large stone setting is not overgrown with trees and bushes. The entire site is located on the crest of a beachfront, which runs around 500 meters away from the present sea coast. The pine forest around war planted during the modern era. South of the burial ground you can see the remains of historical fields. On an area covering approximately 400 x 150 meters, individual parcels of up to 9 meters in width and 150 meters in length are separated by flat ramparts of superimposed stones. 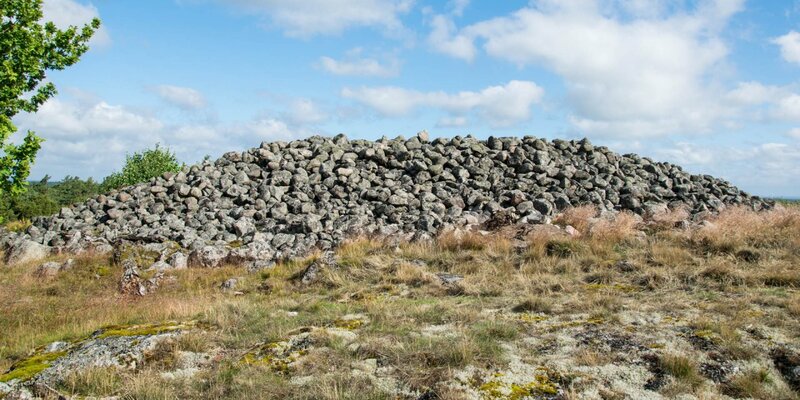 This agricultural system, which was probably built in the Middle Ages, is one of the best preserved of its kind in Sweden. The access to the forest and the grave field leads over a farm at the end of the paved road. From there, you go through a large gate and then about 300 meters in the north direction on a farm road along the high fence at the edge of the forest. At the height of the burial ground a ladder leads over the fence.